Eid Mubarak! I hope your celebration of the end of the fasting month is as joyful as mine. Please forgive me if I have hurt you feelings or have posted the wrong things on my blog and my other social media accounts. Let's start afresh! I will post my Eid outfits soon, insyaAllah. 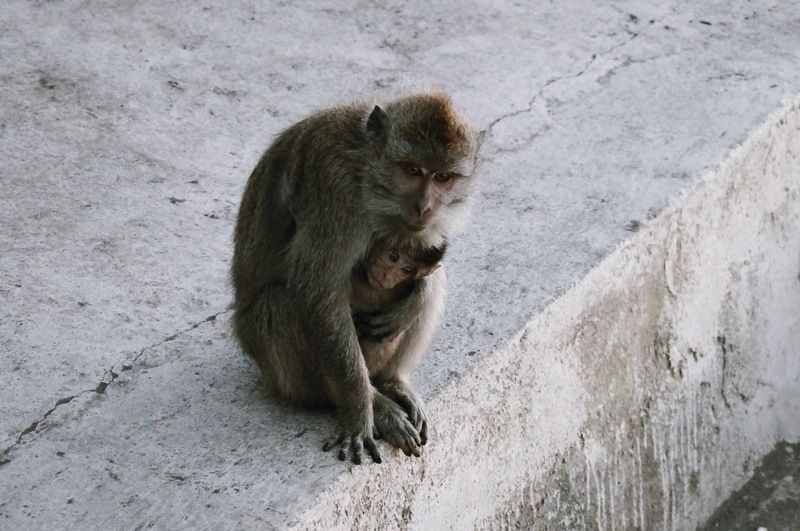 If you follow my instagram account, you will be aware that I just went to Bali a few months back. I went with my usual travel buddies and we just planned to relax and get a break from our hectic schedule. 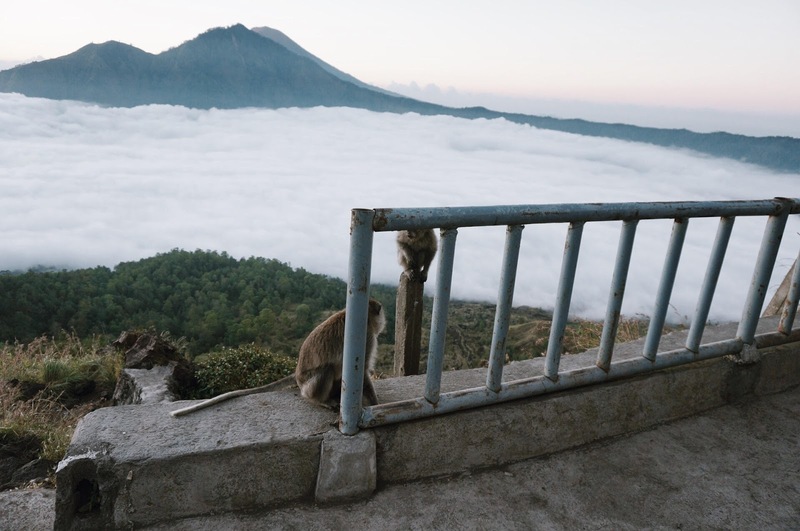 While planning our itinerary, Mount Batur was one of the activities we planned and I don't think we were aware of what we were putting ourselves into! P.S. Picture vomit entry ahead! Mount Batur is located in Batur village, Kintamani District, Bali, Indonesia. It is an active volcano in Bali which last erupted in year 2000. The peak of Mount Batur is 1717m above sea level. On the first day, we told our driver about Mount Batur and he said he could get someone to hike with us. He used to work at a travel agency so he had all the contacts needed. We paid around $40 each. It included a tour around the crater as well as some simple breakfast. In the end, we found out that we could get cheaper prices. But it wasn't that much of a difference. We went on our 2nd day and everyone was too tired because we slept at midnight. We were supposed to wake up at 1am because our driver will pick us up at 2am. After 8 missed calls from our driver, we finally woke up, got ready in 20 mins and got out by 2.20am. The road was empty obviously so our driver drove at a mad speed of 100-120km/h. I didn't dare to sleep in the car, fearing something might happen. I did nap for like 10-20 minutes max. It was quite a ride from our villa at Seminyak, about an hour or so. We knew we were reaching when we could feel the cold air outside. It was foggy too. We reached the base at about 3.30am and it was cold like probably 10-14°C. We immediately met up with our guide and he handed us our torch lights which I think is better if you bring your own. If you have a headlight for hiking, it will be better. Trust me when I say it's really dark, you can't even see a single thing. So make sure to shine your torch on the ground while walking, in case there are lose rocks. Check out the low-quality video I took using my iPhone 6. The first 10-20 minutes was easy, it was just walking but soon, the steps will start to get steeper and you will need to start climbing. Our guide helped us along the way and even let us know how long more will it take to reach the first stop. Since it was very dark, the night sky was filled with stars. We were in awe because you don't get to see this in well-lighted, full of skyscrapers Singapore! At about 5.30am, it started to get a little brighter and Huda was telling me to look behind and what I saw was the amazing view of clouds. We were literally on top of the clouds. I couldn't stop singing praises to Allah for giving me the opportunity to see that! Masya'Allah. Nearing the peak, we met a few friendly local boys who were hanging around. They offered help to get us up faster. Then they will ask if you want a bottle of coke. We bought them even though I don't even like coke. A little bit of kindness won't hurt! We hung around the first point for a bit. There were plenty of monkeys and dogs. The dogs were tamed but the monkeys can be a little aggressive. So be prepared. Try not to feed them although the locals said it's okay. But they will just keep coming back to you if you do. We walked for 5-10 more minutes to reach the crater where we had our breakfast. We could choose our drinks but the food was standardised which was banana sandwich and boiled eggs which I found out later that it was boiled in volcanic steam. So cool! After resting, our guide brought us to see the crater which was huge. And since it was my first time seeing a crater, I was really mesmerised. It was really big! There were a few monkeys that live there. And I kept imagining having a house right in the middle. How cool is that? The guide also brought us to a few steam vents. It's really lovely. The temperature is really cold so we put our hands near the vent to let the steam heat them up a bit. Going down was the tougher part. The ground were either full of loose rocks or very slippery. You have to be really careful and make sure you know where to step on. I slipped once but thank god I didn't slide all the way down. It took us about 90 minutes to finally reach the carpark. Imagine our delight when we could see the car. All we needed then was a massage and a dip in our pool. Some will ask if I would recommend climbing Mount Batur. YES, please do. Especially if you live in a concrete jungle like Singapore. This is a different experience and it's amazing. But of course, please be physically fit. Like make sure you are those who won't start panting after walking long distance. You don't want to stop halfway. 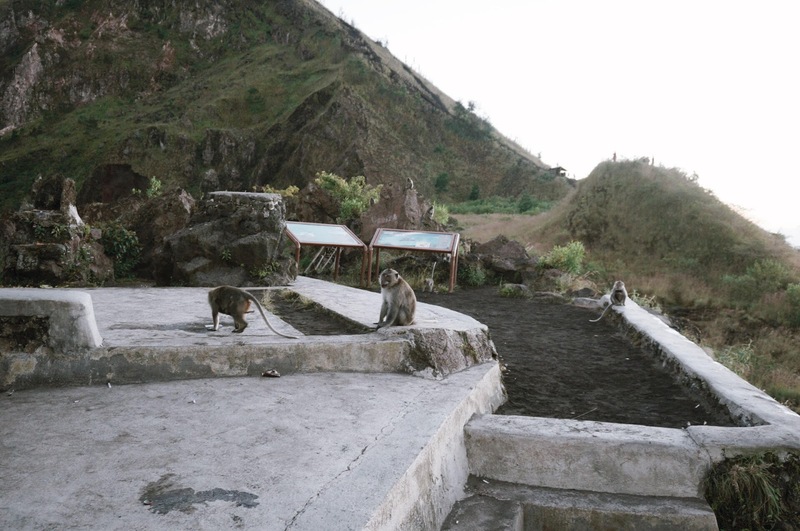 Let me know if you want to try or have tried climbing Mount Batur! 1 comment on "Mount Batur"
These are some really beautiful pictures. It seems like mount batur is such an amazing place. It probably was challenging riding back down, but it all seems worth it.